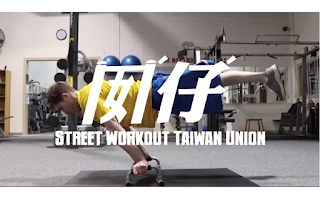 Below is an interview I did with the Taiwanese calisthenics group GIN'-A'. In Taiwan, calisthenics are referred to as "street workouts," and the people who do them are often really coming from the street. "GIN'-A'," which means "the children," was started in order to spread the word about calisthenics. I thought GIN'-A' came up with some really terrific questions for me. Enjoy the interview, and be sure to 'Like' GIN'-A' on Facebook. For the Chinese version of the interview, see HERE. GIN’-A’: Hi, Travis. Nice to meet you, and thank you for accepting our request for this interview. Can you please simply introduce yourself? 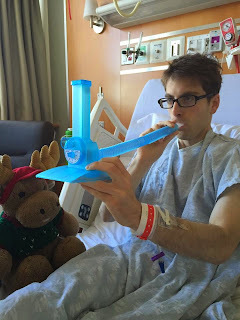 Travis Pollen: Hi! My name is Travis Pollen. I’m a 25-year-old graduate student studying biomechanics at the University of Delaware in Delaware, USA. In addition to my schoolwork, I’m a certified personal trainer. I enjoy practicing, teaching, and blogging about calisthenics and weightlifting. G: I first saw your video on Frank Medrano’s Facebook page, and I can’t lie, it really impressed me. So here I am, sharing some inspiration with the Taiwan people. First of all, what is your impression of Taiwan? T: Thank you so much for watching my video! I had a great time making it. I hope it inspires people to get up and get active. Although I’ve never been to Taiwan personally, my best friend’s family is actually from Taiwan. He’s been there many times, so I’ve heard a lot about it and seen pictures. It sounds like a terrific place, and I’d love to visit someday! G: This might be rude, but I am wondering what’s the story behind your handicap? T: Not rude at all! For most purposes, I say I’m an above-knee amputee, but it’s actually slightly more complicated. I was born with a rare congenital birth defect called proximal femoral focal deficiency (PFFD, for short). Basically, this means that I’m missing me left thigh bone, and my left knee functions as a hip. I had the foot at the end of my short leg amputated when I was three years old for better cosmetics and functionality with a prosthesis. G: What made you get into the fitness world? How do you feel about the industry? Is it booming upward or on a downward trend? T: I obtained my personal trainer certification three years ago. I had just finished my undergraduate degree in physics, and I knew I didn’t want to pursue physics. I’d always loved exercise, so I figured I could work as a personal trainer until I sorted out my career plans. Lo and behold, I absolutely loved personal training, and I plan to be involved in the fitness industry for the rest of my life. The connections I’ve made with people in the field, both in person and over the Internet, have been life changing. I definitely think the industry is booming. 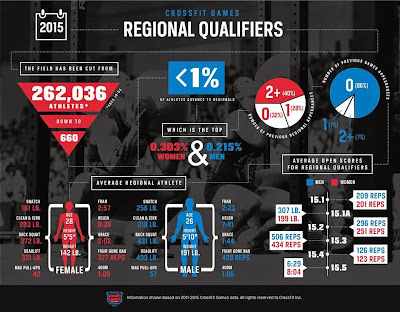 Just look at the staggering numbers of people participating in the CrossFit Open each year! G: In Taiwan we have a problem with personal trainers focusing so much on promotion that they failing to engage in continuing education. These trainers have lots of clients but not a lot of knowledge. What is your opinion on this issue? Does the USA have this kind of corruption? T: Yes, this is a huge problem in the USA as well. The certification standards are very low. People can obtain their qualifications simply by studying a textbook and taking a test or by attending a weekend program. Just because you’re in great shape, read a book, or spent a couple of days at a workshop doesn’t mean that you’re a capable trainer, especially given the challenges we face working with real people with real medical and injury histories. Furthermore, the bad trainers give the good trainers a bad reputation. As my mentor from the National Personal Training Institute (NPTI) says, the certification is only the beginning; the education never stops. G: I saw a lot of calisthenics exercises in your video. 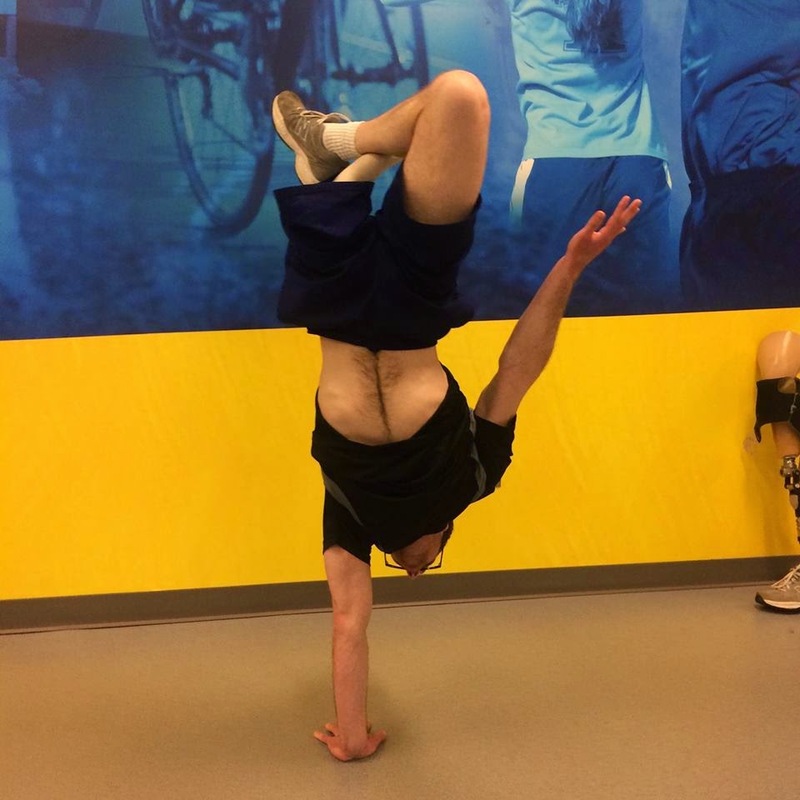 When did you start training like this? Is it part of your regular training program, or are you just having fun with it? T: Since I was a young boy, I’ve always enjoyed calisthenics. I remember being able to do more pull-ups than my classmates in elementary school gym class. I’m a firm believer in mastering your own bodyweight (planks, push-ups, inverted rows, bodyweight squats, etc.) before progressing to exercises with added external resistance. To this day, calisthenics remain a big part of my training program. I’m always working on mastering a new trick. Most recently, I’ve been working on my one-arm handstands. G: Also, I saw a “planche” and “front lever” in the video, both of which are not easy movements. Do you practice them in particular, or are you just able to do them naturally (as a result of your weight lifting background)? T: This is a great question. I swam competitively in high school and college, which afforded me a lot of upper body strength that carried over to my calisthenics. Plus, having one leg obviously makes my lower body much lighter than normal. Thus, some of the challenging movements you mention have come naturally to me. For instance, I performed a human flag the first day I tried, which, admittedly, seems a little unfair to the people who spend years working up to that. With that said, other movements, like muscles-ups and planches, took me weeks or even months to conquer, and I definitely still have room to improve. G: How many days a week do you workout? Can you show us your training schedule? T: I work out just about every day, or at least 6 out of 7. Sometimes I think back and realize that I haven’t taken a day off in a couple of weeks! Some days I’m in the gym for two hours; others I just do a quick workout at home. When I’m at the gym, I try to train my entire body every session, meaning I’ll do something for my lower body (i.e. deadlift), some sort of upper body pushing movement (i.e. bench press), some sort of upper body pulling movement (i.e. pull-ups), and something for my core (i.e. ab wheel). At the end, I might throw in some conditioning work, but after doing so much cardio over the years with swimming, I don’t worry too much about that. Pictured here is an example of a 4-day training program I designed and followed for about six weeks. G: In terms of training others, what is your opinion of calisthenics? T: I think calisthenics are an underutilized art. Many trainers are quick to jump on free weights or machines, but what about mastering your own bodyweight first? People forget that you can get a great workout without any equipment at all (besides perhaps a pull-up bar)! There are tons of advanced exercises that one can do with just their own body (handstands, pistol squats, one-arm push-ups, muscle-ups, etc.). G: Have you ever watched the street-workout competition? Who’s your favorite athlete in USA? T: Sadly, I’ve never seen a street-workout competition in person, but I’ve seen highlights on YouTube and Facebook, mostly from Frank Medrano’s page. That man is incredible! I think my favorite is when guys do a 360-degree turn from the top position of a muscle-up. I’d love to try that, but I’m scared! G: Impressively, you still squat, even with one leg. Did it take a long time to learn to balancing and produce force at the same time? T: Because I was born missing my leg, my single-leg balance has always been very good. (I don’t know any different!) Squatting with a bar and weight definitely took some getting used to, of course. I was lucky to have good mentors over the years who encouraged safety and proper form. G: What are your personal records for the bench press, squat, and deadlift? Bench press: 205 lbs (93 kg). Single-leg squat: I’ve never actually maxed out – the balance does become an issue when I go heavy. I usually go light for work sets with about 65 lbs (29.5 kg). Single-leg deadlift: 175 lbs (79.5 kg). G: When a setback comes, how do you deal with it? How do you keep your motivation? T: This is a really pertinent question, as I just underwent serious colorectal surgery for ulcerative colitis, which I’d been battling since 2010. According to doctor’s orders, I’m not allowed to lift anything heavier than a gallon of milk for the next two months. This has been a major challenge for me, as exercise is obviously a huge part of my daily life. To fill the void in the meantime, I continue to read and write and help friends with their training. Also, on a positive note, I think this will be a great learning experience for me. When I do return to the gym, I will have to start from square one, with very little strength and stamina. This is the same challenge that so many sedentary people face when they return to exercise, and I will get to experience it firsthand. G: I saw that you just came home from hospital. Are you okay now? I hope you’re recovering! T: Thank you so much. The surgery went really well, but I had several complications afterward that resulted in a two-week hospital stay and 17 lbs (8 kg) of weight loss. I’m glad to be back home finally. Although the road to recovery is going to be a long one, I continue to feel a little bit better each day. Working on my deep breathing while in the hospital. G: Again, thanks for showing us human toughness. You are truly a model for us. I hope we’ll meet each other someday. T: You are too kind. Thank you so much for reaching out and for the fabulous questions. I’m so glad that people near and far are finding my work inspiring, as it’s what I love to do. I hope to visit Taiwan someday soon!